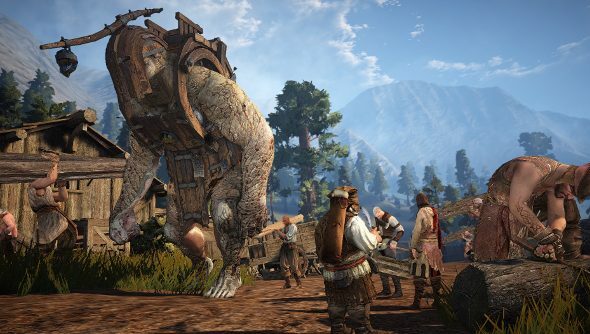 Black Desert, the striking free-to-play Korean MMO, is putting its walking boots on a moseying on over to the West, where it would like to be known as Black Desert Online. Here’s our list of the 10 best MMOs on PC. Alpha testing should kick off soon, while the game’s release will happen next year. In the meantime, here’s a pretty teaser trailer. Black Desert Online won’t be a simple conversion with only a language change. Game balance and progression are being tweaked for the new audience along with 2.5 million words waiting to be translated. The business model will be different, as well. In Korea and Russia, where it’s already out, the game is F2P, but when it launches over here, it will be more like Guild Wars 2 or The Secret World, where you buy the base game but don’t pay a subscription fee. Publisher Daum Games have set up a new teaser site here.